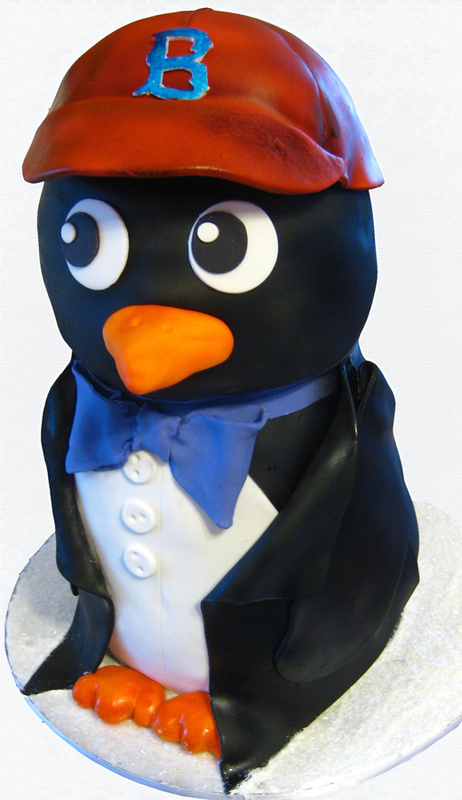 This little guy was a groom’s cake for a wedding I did last week at the Four Seasons. As is tradition with adorable cakes, he needed a name, so we decided to call him Gus. Since his head was made of rice crispy he’s a little more slender then was our last sculpted penguin -his name was Gilbert. It actually ended up matching the wedding cake quite well despite being somewhat winter-y, as the cake was a three tier covered in sugar glitter (as seen below). I’m also pretty proud of the hand-painted sugar flower. 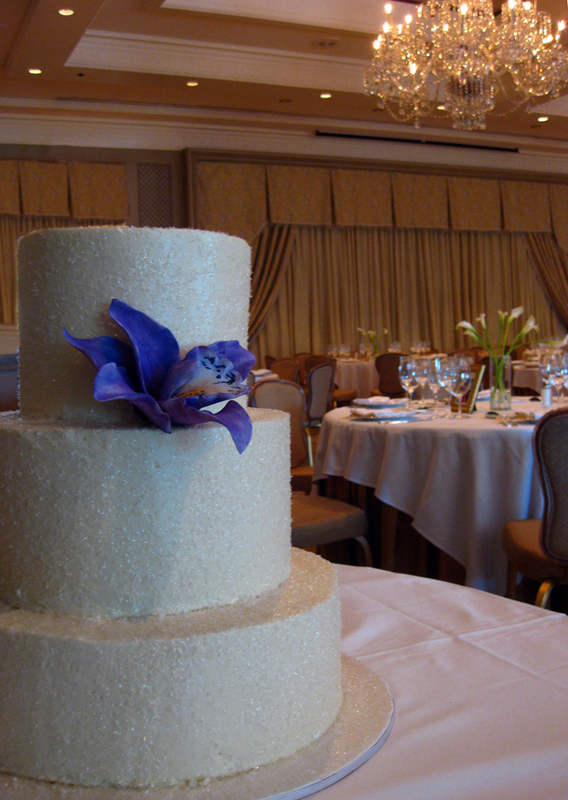 And it’s amazing how large ballrooms always make cakes look better. I am always looking for recent articles in the net about this matter. Thanks.